This entry was posted in National Council of Clubs on May 24, 2017 by Webmaster. 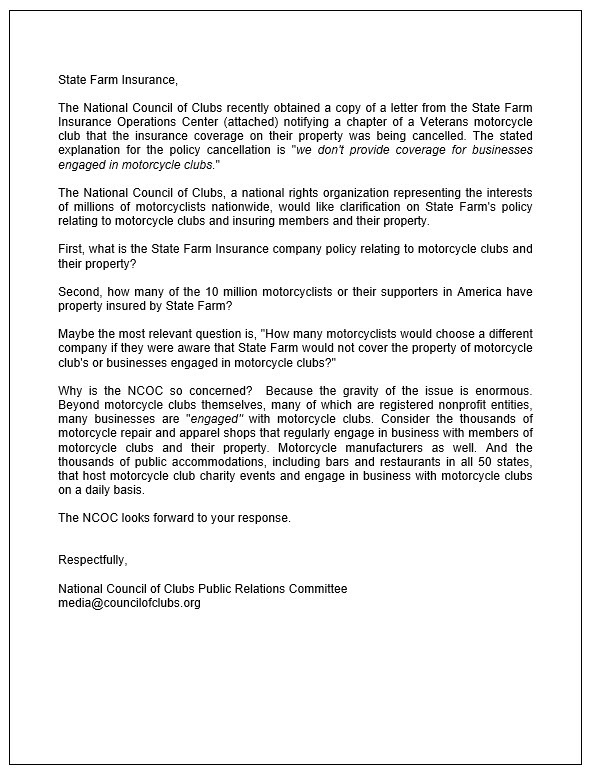 The post State Farm Insurance Says No Coverage For Motorcycle Clubs appeared first on Motorcycle Profiling Project. 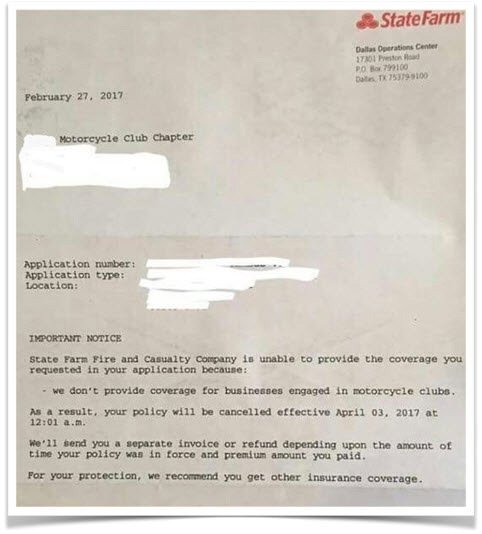 This entry was posted in Motorcycle Profiling Project on May 2, 2017 by Webmaster.